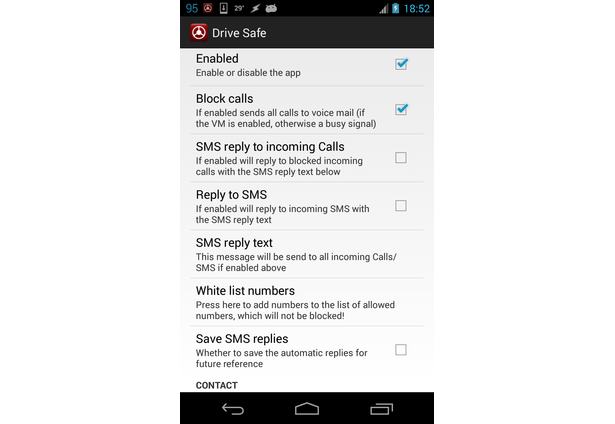 The Drive Safe app is the smartest way to teach your smartphone and yourself that you are driving and you do not want to be disturbed and distracted by calls or text messages. With the implementation of NFC technology the app can now be triggered faster in the car. The usage of automated triggering via speed limits (Eg: start the app when speed reaches 30mph ) was specifically avoided when designing this app, because it might lead to unwanted situations and could potentially drain the battery of the device. Another issue arising from this automated speed triggering could be the accidental enabling or disabling of the app in a traffic jam (when speeds often fluctuate, the app might get enabled, then disabled etc.) , or when sitting in a bus, train or the metro (unwanted scenario). But even the smallest distractions, regardless of speed, could lead to collisions, so the smarter way would be to leave the enabling of the app to the driver itself when they enter the car. With the help of a small, almost invisible NFC sticker placed in a (secret or hidden for design purposes) location inside the car, the app can still be triggered very easily and ubiquitously. Popular NFC sticker locations include: the steering wheel, phone dock or in the armrest of the car. 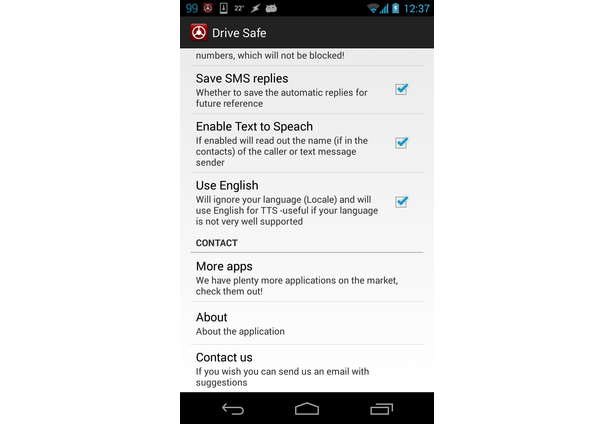 The app helps reduce collisions by removing all the distractions. It silently sends the selected calls (the user can still add white list numbers) to the voice mail. 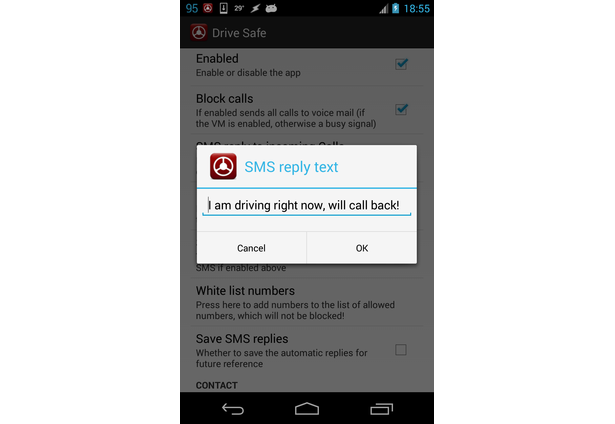 It reads out loud the name of the caller who was blocked (even via bluetooth) and sends back an automated, customisable, text message reply informing the caller that the contacted person is not available due to driving. A smart, fast and very efficient way to reduce collisions due to texting and driving by distracted drivers. At the moment, due to iOS limitations, the app can only be used on Android devices. With the integration of NFC on the new iOS devices an update for iPhone is now more likely. Please note that the TTS engine was implemented after the video was posted. Comments for this submission are closed. 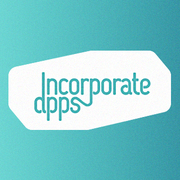 View the software in incorporateapps's portfolio to continue the conversation.